Who said that only men can play the saxophone? Instrumentalist women who play jazz have always been in the minority compared to men and they have often been seen with astonishment and preconception. At least, in the collective imagination it was, until the appearance of Lisa Simpson on TV! Italia’s Got Talent? It sure does! Today, Italy can boast one of the most esteemed saxophonist, composer and arranger in the international music scene: Ada Rovatti. 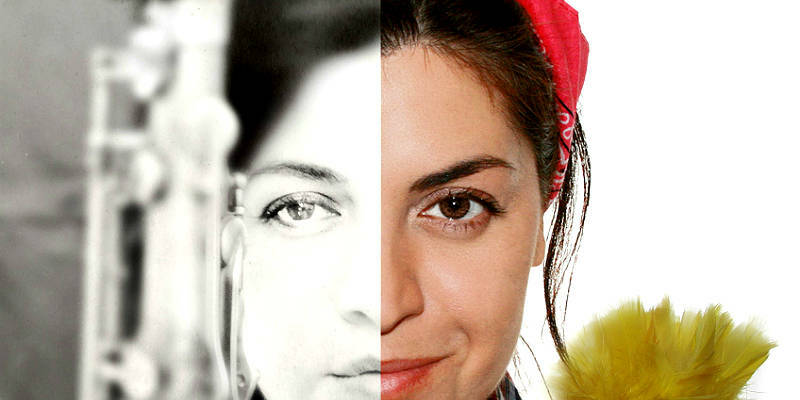 Class of 1976, born in Pavia but transplanted in New York, she had the chance to work with artists of the caliber of Herbie Hancock, Bob Mintzer, Anne Ducros, the Brecker Brothers, David Sanborn, Mike Stern, Will Lee, George Whitty and David Weckl. Together with Bill O’Connell (piano) and Daryl Johns (double bass), she performed on June 25 at the Italian Cultural Institute on Park Ave, playing masterpieces like Hank Mobley’s This I Dig of You, Randy Brecker’s last blues Dirty Dogs and beautiful arrangements of Stella by Starlight ​by Victor Young and Ned Washington and the very famous Somewhere Over the Rainbow. Moreover, she presented two impressive works from her repertory: Oh Corko Mio and Ghost Stories (she revealed to be fascinated by the paranormal). 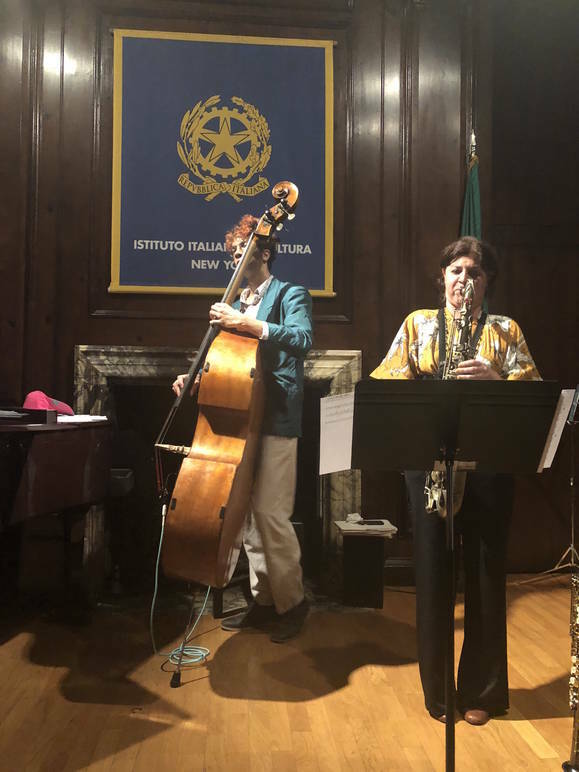 The event was produced for the Italian Cultural Institute by the Italian writer, jazz journalist, producer and Umbria Jazz US Representative Enzo Capua. Her first approach to music dates back to her childhood. "My path was initially classical, as my grandmother used to give piano lessons. That was the first instrument I learnt to play when I was four," said Rovatti. "A few years later my brother, who played and still plays the guitar as a fan of Blues and R&B, decided to form a band with a woodwind section. At that time I was 16. He involved me in his project saying that if I had played the saxophone, I would have been very popular with the guys!" She defined her path “against the current,” because for her it started all for fun, but it turned soon into a real passion. The Blues Brothers were the first artists who inspired her. Then she discovered the Bible of saxophonists: from Coltrane to Sonny Rollins to Charlie Parker. 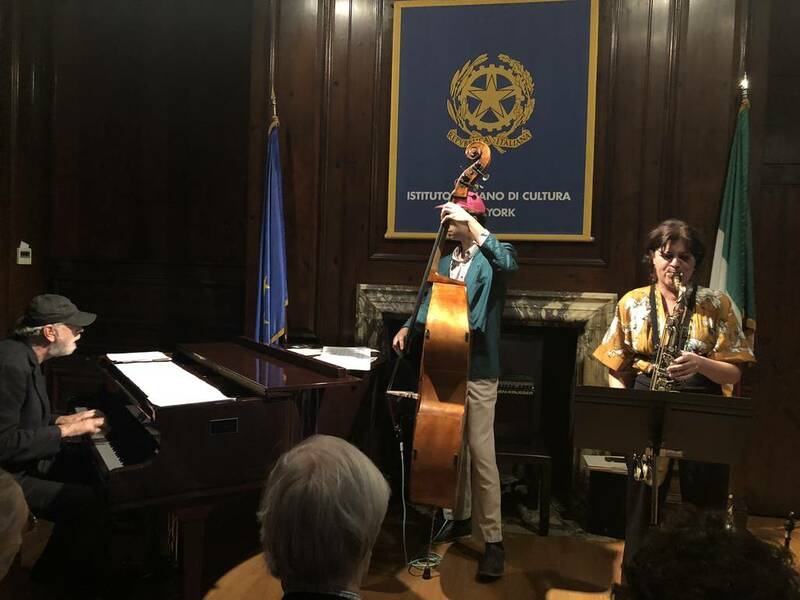 In 1992, Rovatti was awarded a scholarship at UMBRIA Jazz with a "Special Recognition for Outstanding Musicianship” from the prestigious Berklee College of Music in Boston. From that moment, she studied with Joe Viola and George Garzone in Boston, performing throughout the US at venues from the East Coast to the West Coast, and worked in big bands with guest artists Phil Woods, Lee Konitz, Bob Mintzer and Randy Brecker in Italy. "During my career," she continued, "I have always been supported by most people I met. Phil Woods, for example, is one of those who endorsed me." Later, she decided to move to Paris for a year. She toured nearly all Europe and Africa together with the last component of The Platters, then she came back to the States. She remembers her first experience in the United States as something she really needed for her personal growth. "The initial idea was to stay for a short time, but then I got a job contract with a women's orchestra." Therefore, after traveling around the world, Rovatti found in New York the ideal place where cultivate her talent as a composer and bandleader. "However, working in New York is definitely something every musician should try, even just for a few months. In general, I think that nowadays it is a good choice to move away from your own country in order to open your eyes and your mind." "I've always been a very determined person, focused on my goals and very dedicated to my crafts. I would have many stories to tell about the things that happened to me," stated the musician, referring in particular to this era of ferment due to revolutionary movements like Me Too. "If someone makes nasty comments, I'll be sure to state what is ok and what's not but I won't let it bother me. The only thing I can do is study, be knowledgeable and professional, get on stage and do my job. I let my music speak."